55-3283 at Vung Tau, Vietnam. 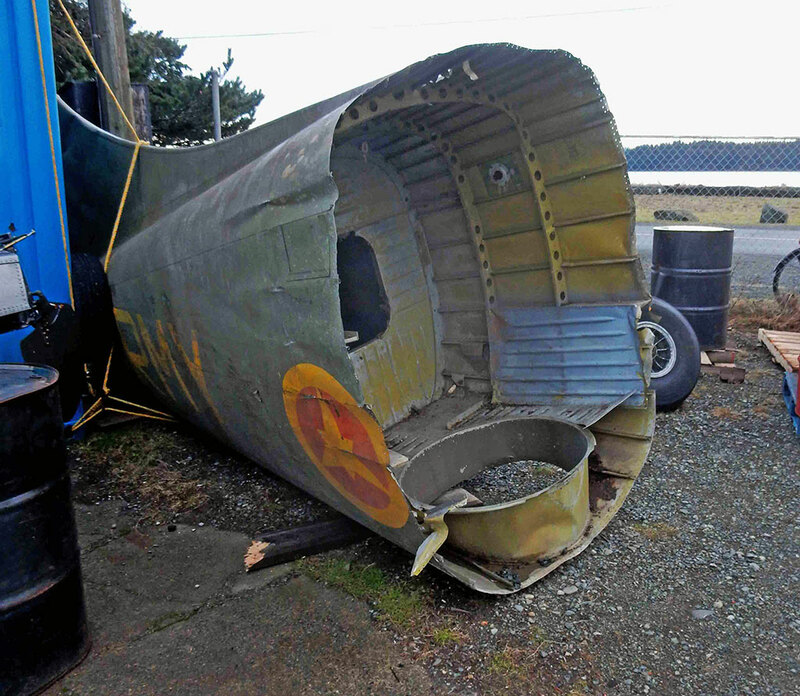 EA-52 (remains of) at Tyee Spit, Campbell River, British Columbia. • 55-3283 -United States Army on 26th June 1956. Jun-1957 to Brookley AFB., Mobile, AL. Here the aircraft was loaded on board a ship serving then serving with the Military Sea Transportation Service, which set sail for Bremerhaven, Germany. arriving on 16-May-1967. Jun-1962 Coleman Barracks Depot, Mannheim, Germany as a maintenance float. May-1964 arrived at the Army Aeronautical Depot Maintenance Center (ARADMAC), Corpus Christi, TX. Sep-1966. Returned to the Army Aeronautical Depot Maintenance Center (ARADMAC), Corpus Christi, TX. for overhaul. Dec-1966, Returned to Vietnam and joined the 54th Aviation Company. Nov-1968. Sharpe Army Depot, Stockton, CA. into storage. • EA-54 with the Ethiopian Army. Government of Ethiopia under a Military Aid Program, based at Lidetta Air Base, Addis Ababa. Where it was placed into storage after 03-Apr-1978 until 1991 . • Un regd NCA International, ( a subsidiary of Newcal Aviation). Luqa, Malta. Remaining until 1994. • N18NC Newcal Aviation's, Little Ferry, NJ. Regd Jan 1992. • N18NC Pen Turbo Aviation Inc., Rio Grande, NJ, (a Newcal company formed to develop and market a turbine engined version of the DHC-4 Caribou). Remained stored at New Ferry, NJ until canx 09-Jan-1996. • C-FJCT Randy Daoust / Quality Aircraft Sales, St. Albert, AB. Regd 23-Sep-1996. Canx 11-Sep-2000. 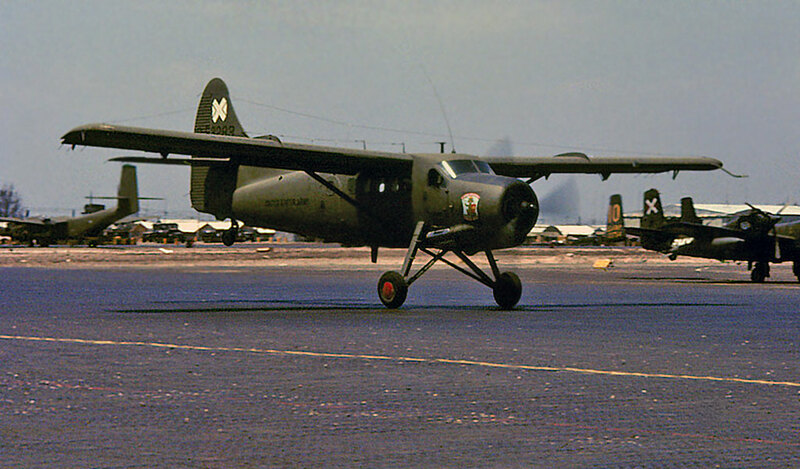 Otter 132 was delivered to the United States Army on 26 June 1956 with serial 55-3283 (tail number 53283). It was assigned to the 2nd Aviation Company, Fort Riley, Kansas which later deployed to Germany, then France. 53283 served with the 2nd Aviation Company’s platoon based at Royellier Army Airfield, Verdun, France from 1959 until June 1962, and was noted visiting Gatwick on 7 March 1962. It then went to Coleman Barracks, Mannheim, Germany as a maintenance float and in May 1964 arrived at the ARADMAC Depot, Corpus Christi, Texas from where it was transported to Vietnam in November 1964, assigned to the 339th Transportation Company as a support aircraft. The Otter flew for the 339th Transportation Company until February 1966 when it was assigned to the 18th Aviation Company. In September 1966 it was returned to the ARADMAC Depot, Corpus Christi for overhaul, going back to Vietnam in December 1966 when it joined the 54th Aviation Company. It continued to fly for the 54th until September 1968 when it arrived at the 388th Transportation Company, Vung Tau. It was transported back to the United States, arriving at the Sharpe Army Depot, Stockton, California in November 1968 where it was put into storage. 53283 was transferred in February 1971 to the Government of Ethiopia under a military Aid Program and became EA 54 in service with the Ethiopian Army. It served for seven years, based at Lidetta Air Base, Addis Ababa and its final flight for the Ethiopian Army took place on 3 April 1978 from Dire Dawa to Lidetta. At that stage the Otter had 7,087 hours on the airframe. It was placed in storage at Lidetta alongside the Ethiopian Army’s other three surviving Otters (EA 50, 52 and 53), which had already been retired from service by then. These four Otters remained parked at Lidetta until 1991, when they were spotted by a pilot flying for the UN / Red Cross who reported their existence. They were purchased by NCA International, then a subsidiary of Newcal Aviation, who specialised in the sale of aircraft parts, particularly DHC parts. The four Otters were transported to NCA’s base at Malta where they remained until 1994, when they were shipped to Newcal Aviation’s facility at Little Ferry, New Jersey. In January 1992 Otter 132 had been registered to Newcal Aviation Ltd., as N18NC. In August 1995 the registered owner was changed to Pen Turbo Aviation Inc., Rio Grande, New Jersey, this being a Newcal company formed to develop and market a turbine version of the DHC-4 Caribou. The other three former Ethiopian Otters were also registered to this company at the same time. The four Otters remained in storage at Little Ferry until September 1996 when all four were sold to Randy Daoust / Quality Aircraft Sales and the four were trucked all the way from New Jersey to his farm at St.Albert outside of Edmonton, Alberta. Here Mr Daoust had a hangar and landing strip. The four Otters were registered to Quality Aircraft Sales in September 1996, 132 becoming C-FJCT, the intention being to rebuild the Otters and sell them on. This however did not happen and the Otters remained in storage until they were sold to others for rebuild. Registration C-FJCT was cancelled on 11 September 2000 but the current where-abouts of Otter 132 is unknown*. 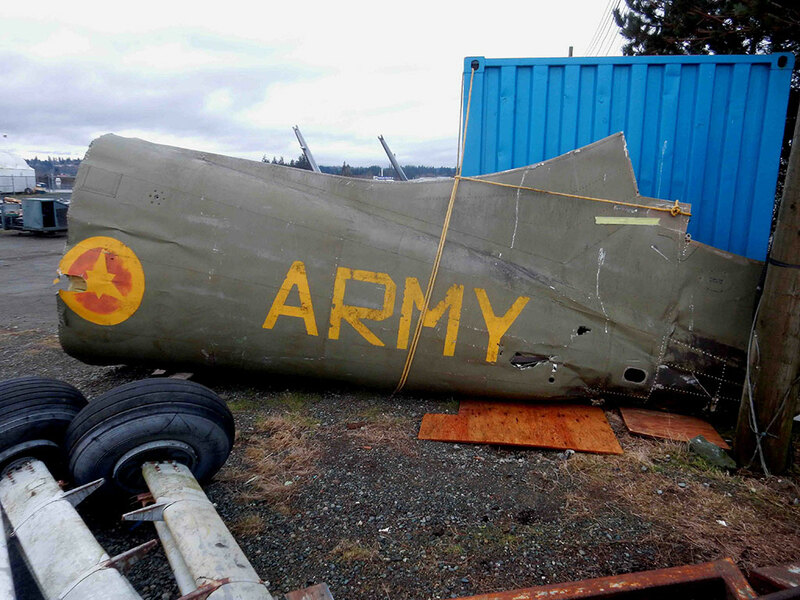 It has not flown since it was retired by the Ethiopian Army in April 1978. Randy Daoust died in April 2011. Of these four Ethiopian Otters, only one of them, 349, flew again. It was registered C-FZDV and flew for Air Tindi for some years and is now flying for Liard Air as C-GUDK. Serials 347 and 350 were sold by Mr Daoust and were subsequently located at the Aeroflite hangar at the Vancouver International Airport. Serial 350 was used in the rebuild of Otter 274 but the where-abouts of Otter 347 is also unknown. The current location and status of serials *132 and 347 is an “enduring Otter mystery”! *Update: We now know where the tail section of 132 is, for the moment. (2017).